Travel to the Uluru sunset viewing area. Enjoy a complimentary glass of sparkling wine as the sun sets over the western horizon and the evening sky brings out the many shades of colour for which Uluru is renowned. 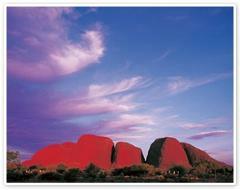 Travel to the mystical 36 domes of Kata Tjuta. Walk the trail through Walpa Gorge following the natural creek between two of the tallest domes of Kata Tjuta. In the late afternoon travel to the Uluru sunset viewing area. 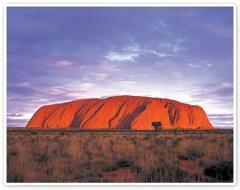 Join your guide on a drive around the base of Uluru. Continue to the Kuniya Walk, from where you’ll be escorted to the Mutitjulu Waterhole. 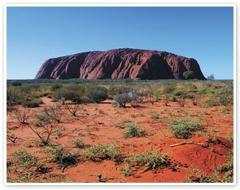 View ancient rock art and learn about the Aboriginal and European history of Uluru.